This sleek and elegant coupé won't fail to turn heads thanks to its sweeping contours and distinctive styling cues. 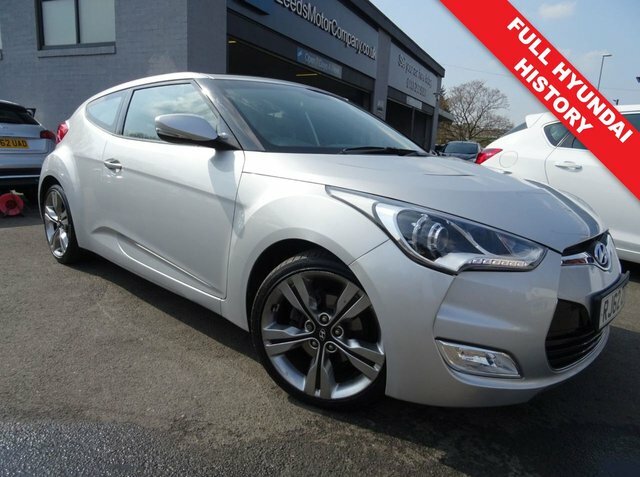 Come and speak to the team at Leeds Motor Company Ltd if you're looking for a used Hyundai Veloster for sale in Leeds that represents fantastic value for money. All of our used cars are of the highest quality and if you pay a visit to the showroom today you're sure to find a model to suit your lifestyle and budget. Our vehicles are thoroughly inspected by trained technicians before going on sale so you can also buy with complete confidence.